The Last Airbender video game revisits captivating, climactic scenes from the film while providing the player a much more in depth experience. 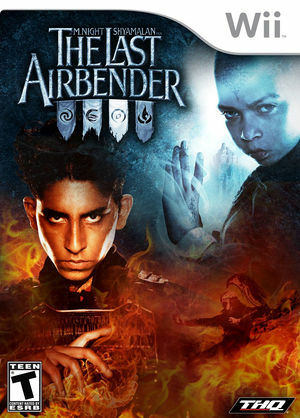 The game is told from the unique perspective of the antagonist Zuko, exiled prince of the Fire Nation, who embarks on a personal quest to capture the Avatar, a young boy named Aang, in order to regain his father's honor. Players will be able to embody three playable characters - Aang, Zuko and the Blue Spirit - and participate in epic battles, hand-to-hand combat and various intense challenges throughout the game. Utilizing the Wii Remote and Nunchuk, players will discover and master their bending powers by performing special hand movements that are specific to their character's abilities. The interactive, action adventure game, will allow players to learn how to manipulate air and fire, creating destructive forces such as Air Vortexes, Tornadoes, Fire Balls, and Fire Bombs, to take down enemies and progress through the game in order to fulfill their destiny. The graph below charts the compatibility with The Last Airbender since Dolphin's 2.0 release, listing revisions only where a compatibility change occurred. This page was last edited on 13 January 2018, at 14:47.